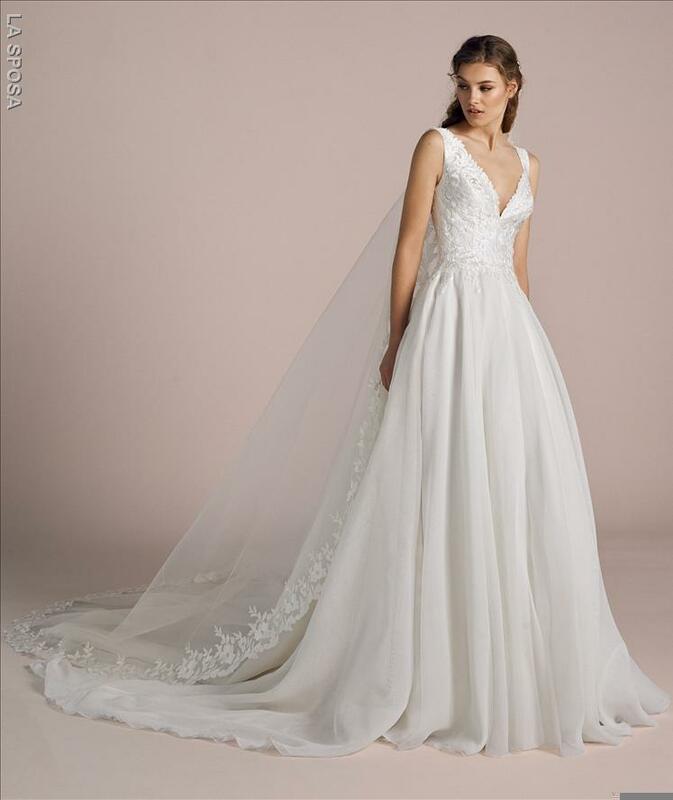 Belisama is a fabulous wedding dress in estela organza. A design capable of combining the most classic of fabrics with the freshest of feminine. 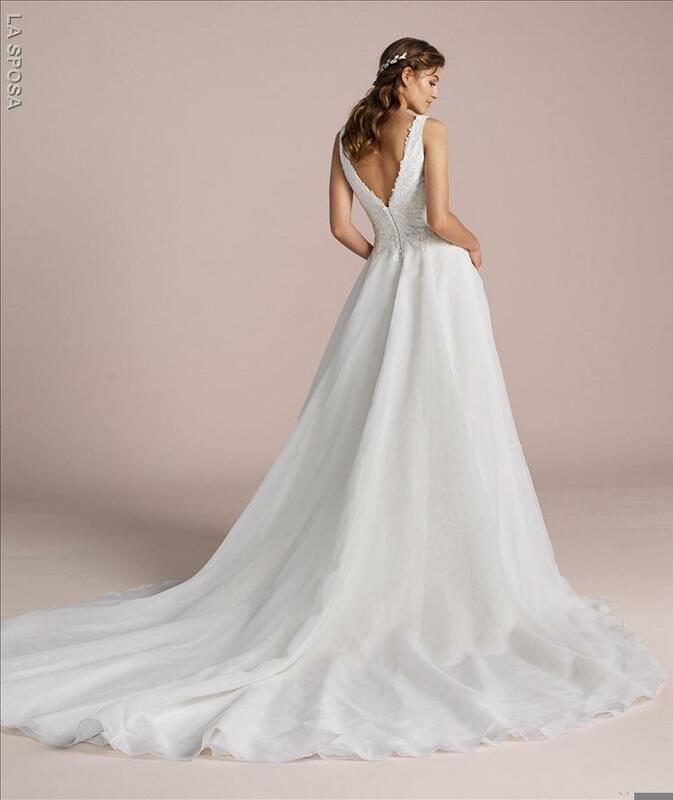 The princess skirt in estela organza works beautifully with a v-necked bodice and back in thread-embroidered tulle.